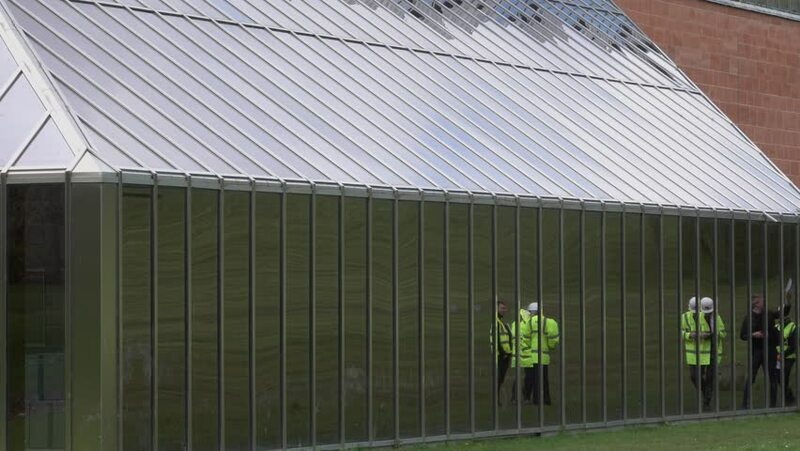 Pollok Country Park, Glasgow, Scotland, UK; April 30th 2018: Surveyors and architects overseeing the renovation of the building housing The Burrell Collection; reflected in the windows. 4k00:15RIO DE JANEIRO, BRAZIL, MARCH 1976. Brazilian Jaguar Walking Back And Forth In A Small Zoo Cage Being Observed By A Young Native Woman.